Right after my Bachelor's of Engineering stint in College of Engineering, Guindy - Anna University main campus which is among the top 10 colleges in India, I was quite clueless what I wanted to do next. In fact, I was quite bored of a typical education system where a board decides what you should study. I have used the word study instead of learn in the previous sentence intentionally mainly because you can't possibly understand, learn, unlearn and evolve unless you apply it in solving real life problems which in any education system nowadays is rarely 5-7%. Needless to say, I did not have any adhering towards higher studies. As an interesting turn of events, I got an offer from IBM, the only campus placement I sat for. On a lighter note, it took about 6 months for IBM to assign me to a branch (Bangalore), how about that. This wait turned out to be a special boon for me, to have spent valuable time with myself, my family and friends especially in a stage of life where things move on and change so quickly that you don't have time to think back on it. IBM!! World's biggest brand even before Microsoft and Apple!! Core of innovation for past 100 years!! Trust me. Not worth it. I know there are great opportunities in IBM. But the one I got, Application Developer, was more like Manual Excel entry support guy and 2 more months of training for this?! Seriously?! After the 6 months of break and hype, I was totally disappointed with what IBM had to offer me. Thanks to the 6 months break, I had enough time to reflect on what I wanted, more precisely, my why. 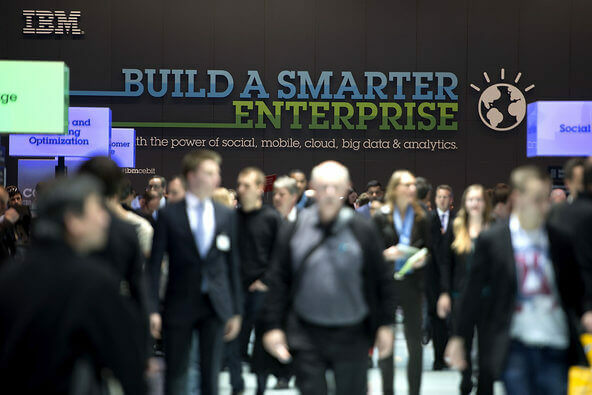 I realised IBM was too huge for me to contribute significantly. My buddy Sharav and I caught up with Thiru and Sharath whom we had previously shown interest towards their first startup Eduraft when we were still in college. Both of them were passionate startup frenzy folk who have been working together since their IIM K days. I am still fortunate and thankful to this day to have called them and told them I quit IBM. Without further thoughts, they invited us to hang out. Quite unsure what the future holds and thrilled about was in store, we went to meet them. None can define Passion. Though it is felt to be ignited among peers driven towards an idea. True to the above saying, my life was changed forever. Learn more about my first startup plunge experience here. Have you felt ever felt bored and insignificant in your work ?! What have you done about it ?! I would love to hear from you! Please share your thoughts in the comments below.